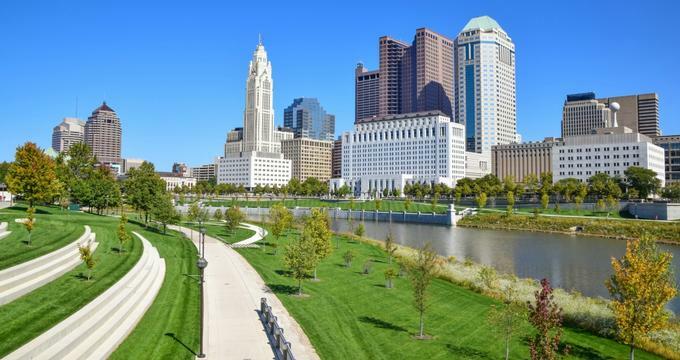 Columbus, Ohio is a haven for people who love breakfast foods and enjoy relaxing brunches on the weekend. Even better, the restaurateurs there are creative, unique, and are keen on using fresh, seasonal ingredients to offer extraordinary meals. While the environments can range from military memorabilia at the 94th Aero Squadron Restaurant to the old school German Village Coffee Shop that has barely changed since its opening in 1981, one thing remains the same: all the restaurants on the list offer delicious food. 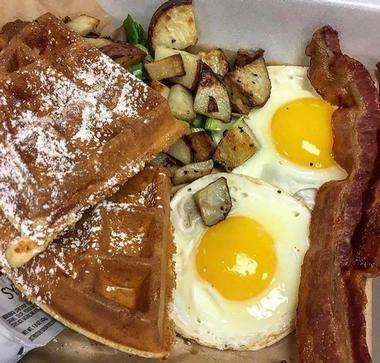 Serving breakfast and brunch all day long, What the Waffle is a famed breakfast spot in Columbus, Ohio. Even better, the company is a social enterprise that supports and empowers females who are transitioning out of foster care. As can be seen from the name, waffles are a popular item on the menu, which has many sweet and savory options. Buttermilk Belgian waffles made from scratch can be topped with a combination of smoked bacon, fried eggs, cheese, sausage patties, or much more. Other unique foods served at What the Waffle include sweet potato muffins, marinated chicken tenders, and fresh cut roasted redskin potatoes topped with bacon, cheese, and scallions. 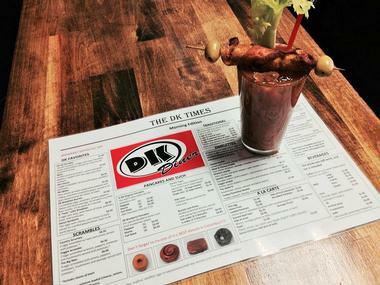 DK Diner is an open-air restaurant great for those who want a delicious start to their day. The diner opens at 6:00 a.m. on weekdays and 7:00 a.m. on weekends and serves breakfast all day. Their freshly made donuts are a delicious. The glazed cake, blueberry, and cinnamon sugar are crowd favorites, while the specialty donuts such as the apple fritter and vanilla long john are loved by everyone who tries them. For something more savory, you can have DK All the Way, which consists of two eggs over easy, Canadian bacon, and home fries served on a biscuit and covered in gravy. The German Village Coffee Shop, which is also known as Das Kaffe Haus, opened in 1981 and soon became an important part of the community. You can find it on the edge of downtown Columbus, where you will be transformed back in time by the old school style diner that looks almost exactly like it did when it was first established. Diners can have a delicious breakfast from 6:30 a.m. to 2:00 p.m. on weekdays and till 3:00 p.m. on weekends. The extensive breakfast menu has everything from simple eggs and toast to short cakes and French toast. You can also create your own omelet, which comes with bacon, sausage, turkey, or hash browns. The Grand Day Cafe offers an impressive breakfast menu every day from 6:30 a.m. to 3:00 p.m. They use fresh eggs, produce, and certified meats to create healthy and nutritious staples that make the perfect start to any day. The restaurant is open every day of the year except Thanksgiving and Christmas, and if you get there before 8:00 a.m. coffee is on the house. 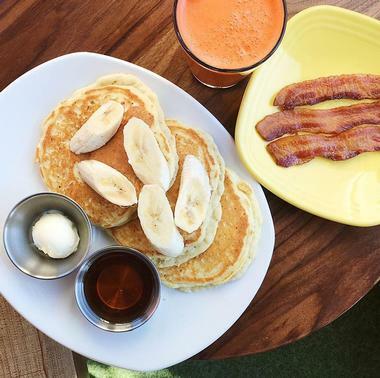 For less than $10, diners can feast on huevos rancheros served with tortillas and salsa, Texas toast with grilled turkey, or a stack of banana nut pancakes. Hang Over Easy has a theory that a good breakfast can cure everything, including hangovers after a wild night. The diner adds a playful twist on classic dishes, all of which you can try from 7:00 a.m. to 3:00 p.m. on weekdays and 8:00 a.m. to 3:00 p.m. on weekends. Their Struggling to Get Up has two delicious pancakes with warm syrup and butter, and you can add seasonal fruit or chocolate chips to it. The Chicken Chorizo Skillet comes with chorizo sausage, grilled chicken, eggs, and hoe fries topped with queso cheese. A little cafe with lots of local goodness, Katalina’s has a selection of homemade food with Latin and Southern flavors. The restaurant is home of the Original Pancake Balls, which are filled with Nutella or dulce de leche and served with maple syrup and bacon. They even have a veggie option that offers veggie sausages. The breakfast chick’wich, another popular option, has fried chicken breast with eggs and cheese on a ciabatta bun and is paired with Katalina’s zesty brussel sprouts hash. The restaurant is open every day from 8:00 a.m. to 3:00 p.m. 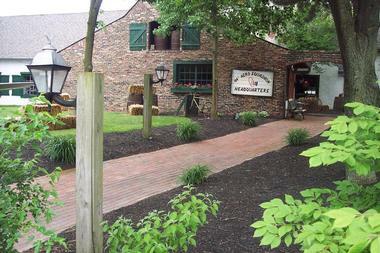 The French bakery and bistro La Chatelaine is a family-owned business that has been in Ohio since 1991. 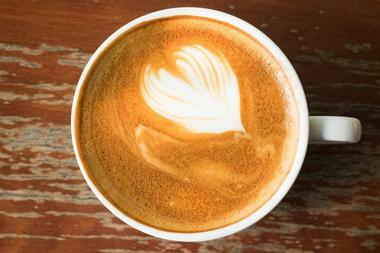 Diners can enjoy a satisfying breakfast in the relaxed and friendly atmosphere of the bistro. There’s an indoor and outdoor dining seating area that lets you peoplewatch and enjoy the view. Their culinary concoctions include omelets with fresh spinach, homemade French toast with whipped cream, fresh fruit cups, and signature old-fashioned oatmeal. Breakfast is served from 7:00 a.m. to 10:30 a.m. on weekdays and 8:00 a.m. to 2:00 p.m. on weekends. Bringing a little bit of Austria to Columbus, Mozart’s is a bakery, restaurant, and event space renowned by locals and visitors. The restaurant is closed on Mondays but offers breakfast all day from 8:00 a.m. onwards Tuesday through Saturday and 9:00 a.m. on Sunday. From the many delicious things on the menu, diners shouldn’t miss out on the quiche lorraine, smoked salmon scramble, and Mozart’s breakfast sandwich, which has scrambled eggs, ham, bacon, and cheddar cheese on wheat toast. There are vegetarian and gluten-free options you can request as well. 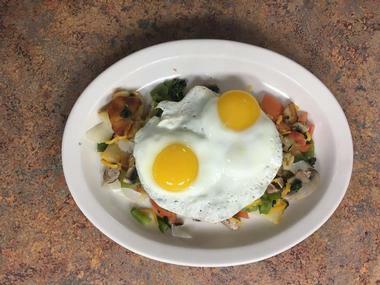 Open from 9:00 a.m. to 10:00 p.m. daily, the Northstar Cafe has tasty breakfast and brunch items on the menu. Visitors who find themselves hungry and in Short North can relax and dine on housemade granola, ricotta pancakes, and fresh buttermilk biscuits. The mushroom frittata comes with eggs, roasted mushrooms, and gruyere, while the big burrito is stuffed with eggs, sweet potatoes, organic black beans, white cheddar cheese, and Northstar’s special salsa. There are many cocktails, wines, and beers on the list, and non-alcoholic beverages such as the blueberry smoothie of organic carrot juice are delicious and refreshing too. Paul’s Fifth Avenue is a Grandview tradition and has been so for over fifty years. The classic 60s style diner was opened in 1966 while the owner was still in high school but had a dream of serving the best breakfast in the city. The breakfast sandwiches, which are all under $6.00, include the Green Eggs n’ Ham with scrambled eggs, ham, spinach, lettuce, cheddar, and mayo on whole grain. Fresh eggs can be prepared any way you prefer, whether it be sunny side up or poached, and they come with buttered toast and jelly. 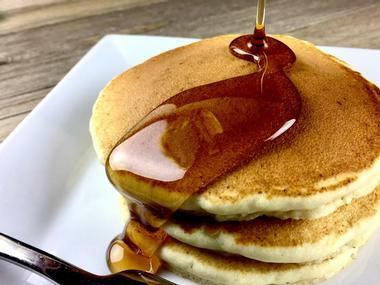 For those who want something a little sweeter to start their day with, they can pick from a range of pancakes, waffles, and French toast made with hand-dipped Italian bread. 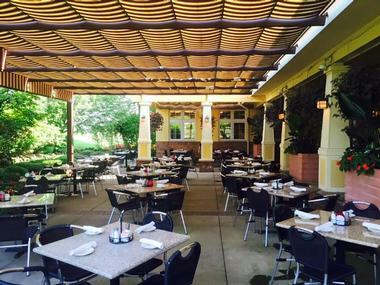 Owned and operated by local restaurateurs Cliff Madden and Darren Greene, the Polaris Grill was established in 1997 and soon became one of Columbus’ premier dining destinations. Their sensational Sunday brunch can be had in the spacious outdoor patio on days with good weather. The menu includes a range of omelets and benedicts, with everything from the traditional eggs benedict to the richer crab cake benedict and filet mignon benedict. The morning quesadilla is only $11.95 and is stuffed with pico de gallo, bacon, pepper jack cheese, and scrambled eggs. It is served with salsa, guacamole, and sour cream. Voted the number one cafe in Columbus, Scotty’s Cafe is open for delicious a breakfast and brunch from 7:30 a.m. to 2:00 p.m. on weekdays. The one-stop eatery serves tasty meals made fresh in house using the finest ingredients available. Breakfast is served all day and comes with bagels or toast and coffee or tea. You have the option of adding extras such as bacon, sausage, and home fries to any entree. The Mexican omelet is rich with flavors of chicken, peppers, onions, salsa, and sour cream, while the Greek omelet has spinach, tomatoes, and feta cheese. Those who find simplicity delicious can have a plain omelet and add any cheese, vegetables, or meats that they like. 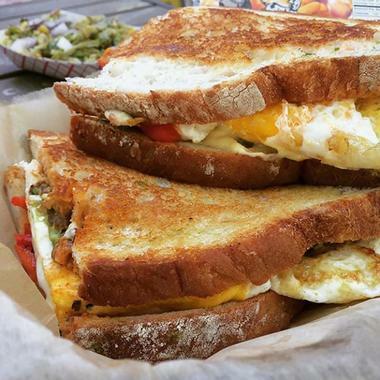 If you’re planning for a day of hanging out in downtown Columbus, start with a hearty breakfast from Skillet. The food, which features unique combinations of complex flavors, is all seasonal in fitting with the restaurant’s motto of serving farm to table comforts with an urban edge. The menu changes often based on what is freshly available, but the breakfast and brunch offered from 8:00 a.m. to 2:00 p.m. from Wednesday to Sunday is delicious no matter what’s in season. Diners with a sweet tooth will be ecstatic with the menu’s range – you’ll find brown sugar crumb cake, cinnamon rolls, and scones filled with chocolate pecan filling, blueberry filling, or white chocolate raspberry filling. Every weekend from 11:00 a.m. to 3:00 p.m. Standard Hall serves delicious items from their brunch menu. 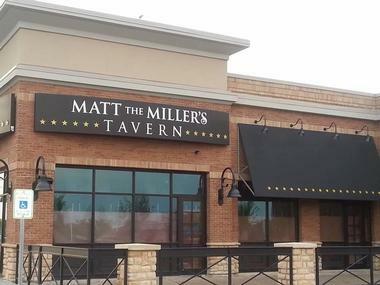 The restaurant is one of the newer additions to Columbus’ restaurant scene and has introduced modern methods to traditional recipes. 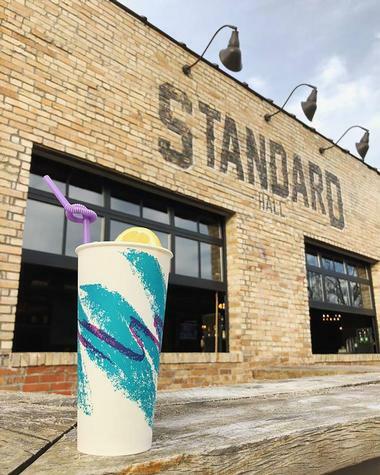 The famed neighborhood hangout has a large patio where you can relax while enjoying flavorful food made from scratch, craft beer, and fresh cocktails. There are a lot of items diners could share such as the soft pretzel, nachos, and wings. The Full Monty is a delicious combination of over-easy eggs, pulled pork, and salsa on French toast – for a just a few dollars, you can add tater tots, home fries, or hash browns for a complete meal. Open from 6:00 a.m. to 3:00 p.m. from Tuesday to Friday and from 7:30 a.m. to 2:00 p.m. on the weekends, Stav’s Diner serves traditional breakfast and brunch items all day long. The diner can be found in the Bexley shopping center in the heart of Columbus and is a great place to start before a day of shopping. Popular items from the menu are the biscuits and gravy, buttermilk pancakes, the gyro egg sandwich, and the spinach and feta omelet. Diners can add various items from the a la carte menu including corned beef hash, Greek yogurt, fresh fruit, or several breakfast meats. 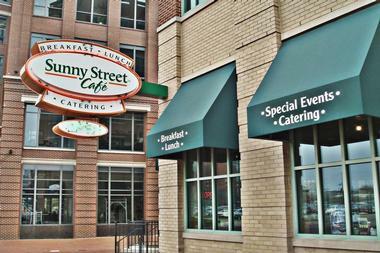 A bright and sunny spot for breakfast no matter how the weather is outside, Sunny Street Cafe has many traditional breakfast items in addition to seasonal specials based on what is freshly available. Breakfast and brunch are served all day long, so diners can have whatever they crave whether it be buttermilk pancakes or a buffalo chicken salad. Their breakfast combos are sure to hit the right spot. 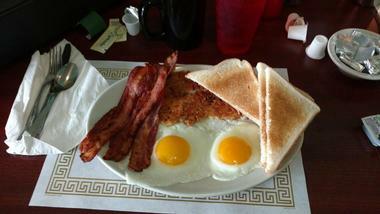 The Famous Hearty Breakfast, for example, comes with eggs, pancakes, bacon, and hash browns. Diners can choose another breakfast meat to replace the bacon or fresh fruit to replace the grits – create any combination to satisfy your cravings. Open from 8:00 a.m. to 3:00 p.m. every day of the week except Monday, SuperChef’s Breakfast and More is the restaurant’s first location. 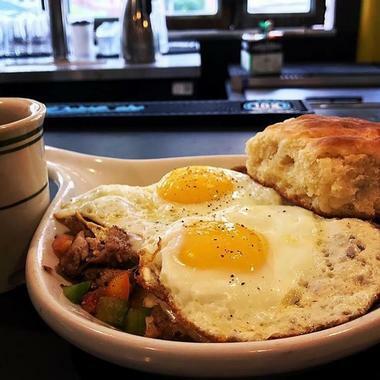 They offer the finest breakfast cuisine in the downtown metropolitan area and are located right the heart of all the sights and attractions in Columbus. The pancakes aren’t just the usual buttermilk or blueberry; you can have red velvet pancakes with whipped cream cheese or a Reese’s Cup pancake that has a dollop of peanut butter between each layer. Younger guests will love breakfast at SuperChef’s since each of the specials are named after superheroes like Batman, Flash, and Captain America. Tasi Cafe is a friendly and casual place to have freshly prepared meals. The healthy breakfast menu changes seasonally and focuses on fresh, natural ingredients; there is no trans-fat, corn syrup, or unnatural fillers in any item on the menu. Breads are baked in-house daily along with the delicious pastries. 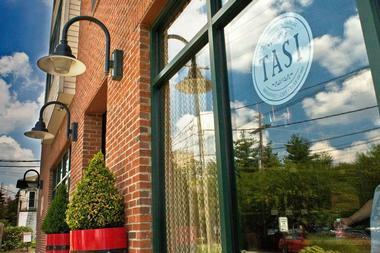 Tasi is open from 7:00 a.m. onward Monday to Saturday and 8:00 a.m. onward on Sunday and serves breakfast all day. The caramel roll and almond croissant are sweet and great for people who want a decent breakfast on the run. For something heartier, diners can have the breakfast burrito, biscuits and gravy, or poached eggs and black bean cakes. 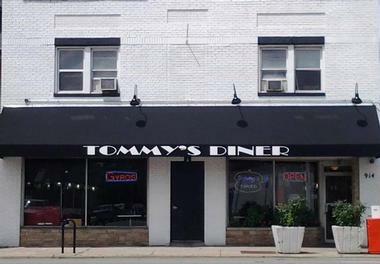 Tommy’s Diner is a family-owned and operated diner that initially attracts people with their retro decor but keeps them coming back for the scrumptious food. The diner has been a staple in downtown Columbus since 1989 and serves breakfast all day long. 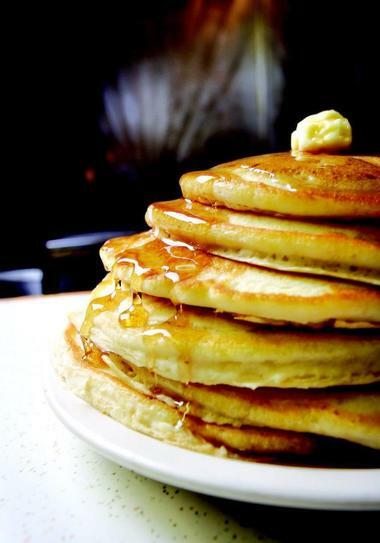 For less than $10.00, diners can have hotcakes, French toast, waffles, eggs benedict, or chopped steak and eggs. Their specials change every day, but some of the crowd favorites are the ribeye steak served with home fries and toast, the gyro and feta cheese omelet, the chops and eggs, and the chicken fajita omelet. Known for its creative twist on already delicious meals, Valters at the Maennerchor serves exquisite breakfast and brunch on the weekends. The restaurant is housed in the cozy and warm setting of a 3,500 square foot heritage house that was built in 1907 and is lovingly called the Dutch House. The delicacies served are often said to be the next best thing to actually eating in Germany. 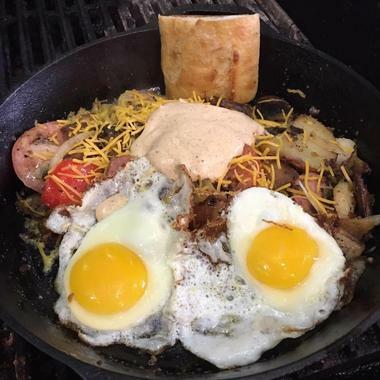 The Breakfast Hangover is a popular homemade breakfast bowl topped with bacon, bratwurst, onions, eggs, peppers, and cheese that is served with freshly made home fries. The Eagle Eye is another delicious choice and has a roasted portobello mushroom glazed in balsamic fig and topped with a poached egg and Swiss cheese. 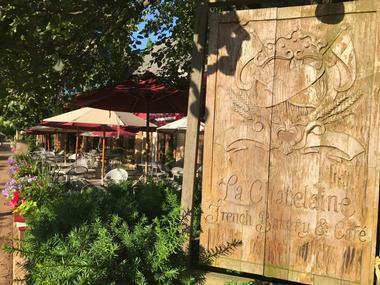 Every Sunday, the 94th Aero Squadron Restaurant offers a delicious brunch buffet from 10:00 a.m. to 2:30 p.m. in its 1917 French farmhouse location. Diners can enjoy everything from roasted turkey and baked ham at the carving stations to fajitas, waffles, and steamed mussels while surrounded by military memorabilia from WWI and WWII. Dining at the themed restaurant has need a tradition in Columbus for over thirty years, and visitors who are there shouldn’t miss out on this staple dining experience. The brunch buffet is $21.99 for adults and $10.99 for children between the ages of five and twelve. 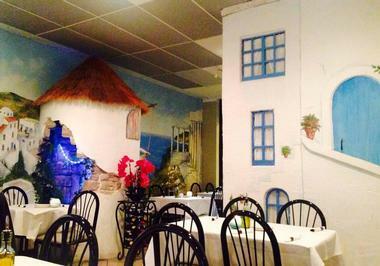 Since it’s opening in 1997, Anna’s Greek Cuisine has proven to be one of Columbia’s most authentic Greek restaurants with the most delicious food. Tourists who find themselves in the area on Sundays from 11:00 a.m. to 3:30 p.m. can join the locals who flock to Anna’s for a hearty and gratifying buffet brunch. The full brunch, which includes desserts, is only $18.95 a person and lets you eat as much hummus, tzatziki, gyro, grilled chicken, omelets, calamari, and lemon potatoes as humanly possible. The dessert selection not only includes baklava but also lemon cake, rice pudding, Greek yogurt with walnuts and honey, and several others to choose from. 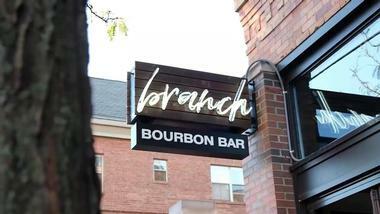 Branch is a kitchen and bourbon bar that serves Southern coastal cuisine in a modern and casual community-centered environment. The team serves innovative and enticing dishes that delight even the most particular palate. The weekend brunch menu is served from 10:00 a.m. to 3:00 p.m. on Saturday and all day on Sunday. There are shareables such as a bag of beignets and the biscuit board with a chef’s assortment of butters and jams. All the mains are delicious but some that should be specifically mentioned are the chicken and waffles, shrimp and grits, and the Nashville egg plate with two eggs, cheesy hash brown casserole, buttermilk biscuits, and bacon or sausage. 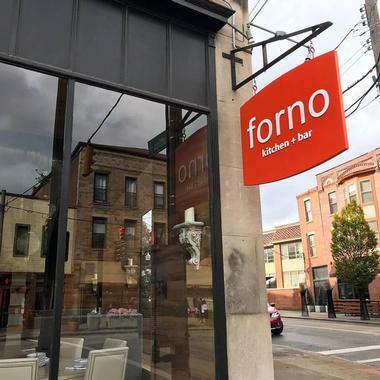 Located in the heart of the Short North Arts District, Forno Kitchen and Bar serves contemporary cuisine, handcrafted drinks, and signature pizzas made in the restaurant’s custom stone-fire oven. 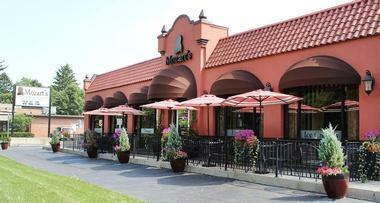 Their weekend brunch, which is between 10:00 a.m. and 3:00 p.m., has over ten different types of pizza on the menu. All the pizzas are made with freshly mixed dough, imported tomatoes, and other ingredients hand-selected by the chef. In addition to pizza, you can order Nutella stuffed French toast, chicken and waffles, a breakfast BLT made with fried egg, bacon, and arugula, and much more.